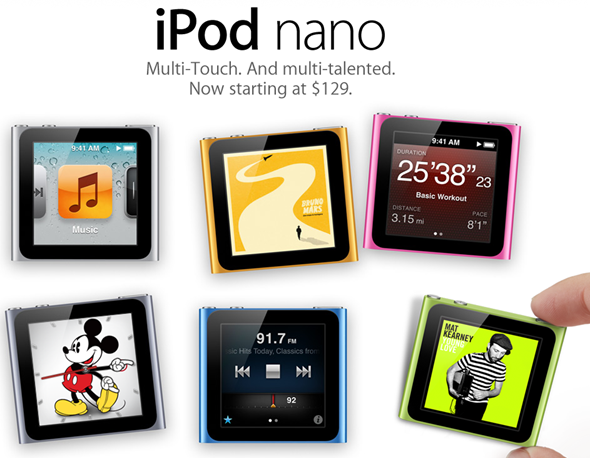 iPod nano 7G Now Available For $149 for 16GB And $129 for 8GB – SHIPPING TODAY! It’s Apple announcement day today, and we’ve been treated to a couple of new devices. One of those announcements that might not get that much attention is the new iPod nano 7th-generation, which builds on the already super awesome little iPod that we all know and love. Available in a variety of colors, as always, and packed into a diminutive little shell, the iPod nano offers the best of both worlds – an iPod that holds enough music that you aren’t going to be running out any time soon, and a package that’s so unobtrusive that you’ll keep thinking you’ve lost it! As if the nano wasn’t already possibly the best iPod on sale, Apple’s engineering wonder-kids have managed to make it even more desirable, with the addition fancy new watch faces, almost admitting that people are using Apple’s little iPod as a timepiece. New watch faces include a rather fetching Mickey Mouse affair, as well as a more classical approach to displaying the time and date. There was no word about an Apple branded watch strap, but here’s hoping such a thing finds its way into an Apple Store near you! 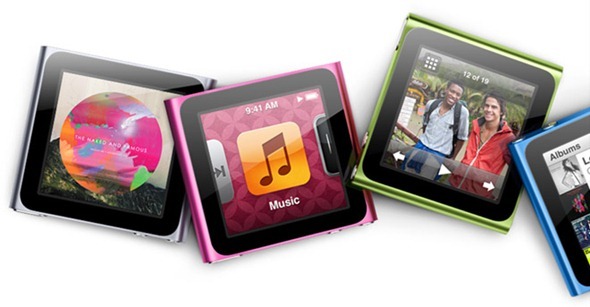 Price-wise, the iPod nano is available in two capacities, with an 8GB unit costing just $129, and its 16GB setting potential owners back $149. Neither price can be a bad one to pay for a gorgeous wristwatch that also holds tons of music! The new nano is available in 7 colors, and is shipping TODAY!